Product Description: Fairly light in body and a little sharp at the edges, Yanagi Bancha has light astringency with hints of cabbage and clove. Corn-like yellow when steeped, it gives off leafy aroma like that of freshly fallen birch leaves. Made in-between the main harvests Yanagi Bancha is one of the most common Japanese green teas. 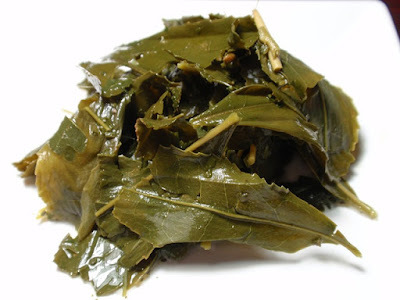 The dry leaves have a sweet green aroma with notes of straw and wood. 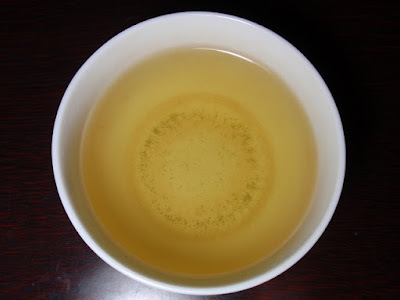 The infusion is golden green with a sharp, sweet, green aroma. The taste is sweet and green with nori notes, a hint of sesame, and a clean finish. The full aroma and taste were present through three steepings. 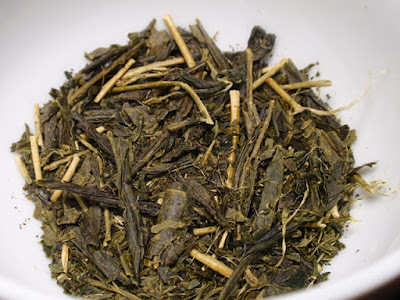 It's worth noting that there was no astringency, even after a longer steeping time which resulted in a greener flavor.